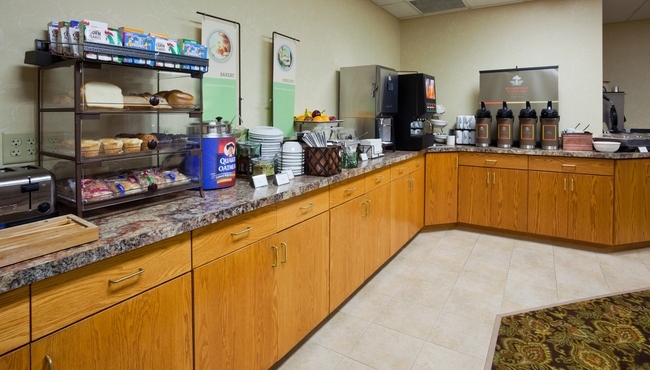 Follow the aroma of sweet Belgian waffles and freshly brewed coffee to the dining room at the Country Inn & Suites in Watertown, SD, where our free, hot breakfast is served daily. You can choose from a rotating selection of hot items like biscuits with gravy and lighter options like fresh fruit and yogurt. When you're ready for lunch or dinner, make your way to one of the many excellent restaurants close to the hotel, including local favorites like Dempsey’s and 2nd Street Station.